The Alco S6 was the sixth model of switcher series the company produced and debuted in 1955 and built until 1960. The S6, up to that time, would prove to be the American Locomotive Company's (Alco) least successful switcher design with fewer than 130 purchased and none were ultimately built by the Montreal Locomotive Works. The model was based from Alco's custom S5 locomotive built exclusively for the Boston & Maine Railroad, which had asked for a switcher with a bit less horsepower. Similarly, the S6 offered less power than the S4 as Alco looked to capture the market for such but ultimately would not find a lot of interest. Still, a handful of railroads and industries did purchase the S6 including several foreign lines (the Southern Pacific would wind up with 55% of the total number built). 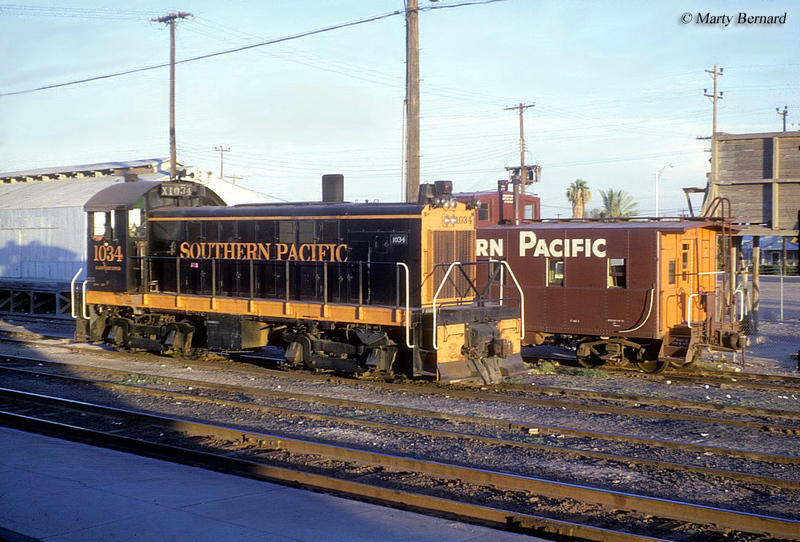 Today, at least two S6s are known to exist; Southern Pacific #1034 (at the National Railroad Museum) and #1051 (in operation at the Niles Canyon Railway). Both units still carry their original number and livery. The Alco S6 (designed by the company as its DL430) was quite similar to all of its previous siblings, and as aforementioned was the successor to Alco's S5 design. 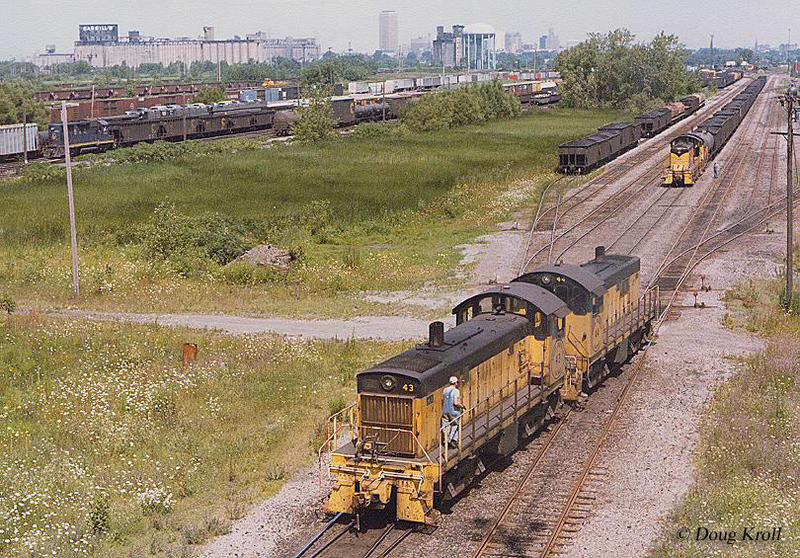 The S5 was the first switcher to employ Alco's very own prime mover, the model 251A, which was capable of producing 800 horsepower for the design. Interestingly, the builder decided not to use its troublesome model 244 prime mover in any of its switchers, which was unsuccessful in its main line freight locomotives like the PA and FA but had worked quite well in its early Road Switcher (RS) line (the RS1, RS2, and RS3 in particular). In any event, whereas the S5 used Alco's 251A diesel engine the S6 used the updated 251B. Additionally, the S6 came equipped with 900 horsepower whereas the S5 was only rated at 800. Also, just as with the S3 and S4, the S5 and S6 were equipped with updated AAR type A trucks and not the Blunt trucks used on the early models. As you can see, both designs were quite similar especially the external carbody. Both units were 45 feet, 5 inches in length and weighed 115 tons. The most noticeable differences could be internally (aside from the slightly different prime movers). The S5 offered dynamic braking and the S6 did not (it was the only model that did not offer this feature). However, the S6 featured a higher starting tractive effort, 61,500 pounds compared to the S5's 57,500 pounds. And, as was the case with almost all Alco models of any type, both used traction motors and air components from General Electric and Westinghouse. 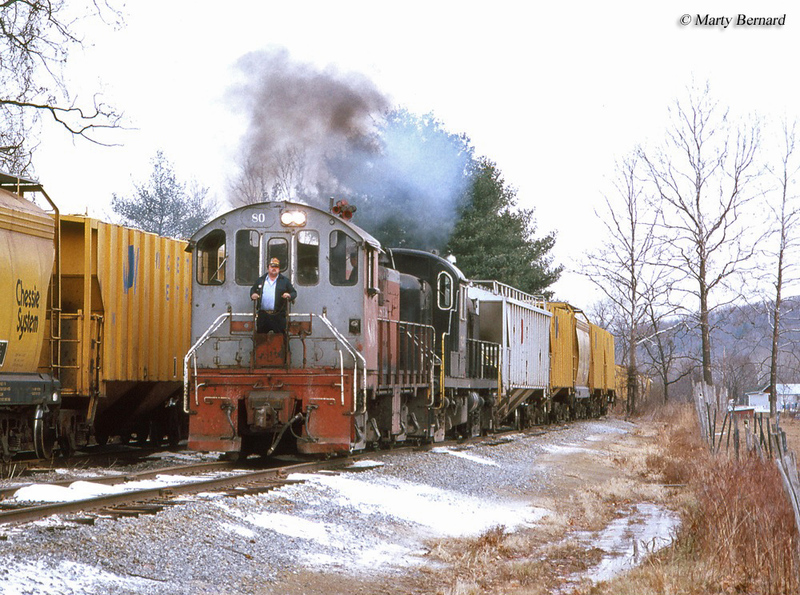 It should also be mentioned that Alco also offered a cow-calf version of the S6, the SSB-9A/SSB-9B. This design was built exclusively for Oliver Iron Mining of northern Minnesota. The operation moved and shuffled ore jimmies for the Duluth, Missabe & Iron Range Railway that served the mines north of Duluth at locations like Ely, Mt. Iron, and Coleraine. Oliver Iron fleeted a large collection of switchers and was interested in as much horsepower and tractive effort as possible to move the heavy ore (which typically weighed about twice as much as coal). Essentially, the SSB-9 cow-calf was setup was simply an S6 with a cabless S6 semi-permanently attached. 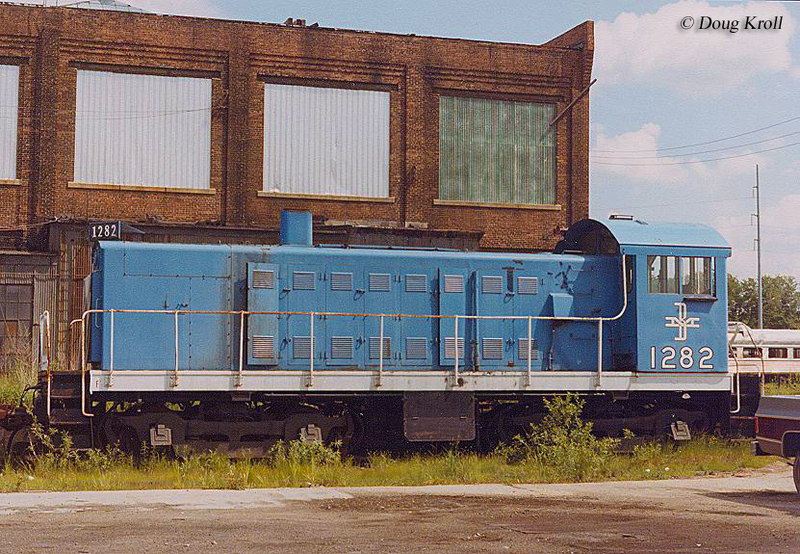 In total, Oliver Mining purchased two sets of this locomotive; #1217A-1217B and #1218A-1218B. For more information about the S6 please click here. The Alco S6 sold modestly at just 126 units although they could be found coast to coast among a handful of Class Is like the Southern Pacific (which bought 70) and Western Maryland as well as industries like ARMCO Steel, Republic Steel, and Semet-Solvay. Additionally, Mexican lines including the Chihuahua Pacifico, Cia Fundidora de Hierro y Acero, Ferrocaril del Pacifico, National de Mexico, Secretarias Communicaciones de Obras Publicas, and Unidos de Yucatan purchased 33 S6s between them. For a comprehensive look at the American Locomotive Company and all of the motive power types it built from steam, diesel, to electrics consider the book Alco Locomotives by Brian Solomon. Covering more than 175 pages Mr. Solomon's book details the history of Alco from its esteemed 4-6-4 Hudsons and 4-6-6-4 Challengers to vaunted RS and PA series diesel locomotives. If you have any interest in Alco this book is a must have! Also consider Mike Schafer's Vintage Diesel Locomotives which looks at virtually all of the classic builders and models from Alco PAs to early EMD Geeps. To read more about other Alco switchers please visit the Diesel Locomotives section of the site, which can be reached from the top of this page.